Before the tectonic plates shifted last week, there was a recent time that the Republican Party stood a chance to exploit the serious disaffection of the Latino and immigrant communities with the Obama administration. Last spring, Senator Marco Rubio (R-FL) teased the electorate with a so-called “Republican DREAM Act.” Although no legislation was drafted, Rubio’s attempt to reconcile his party with the immigrant community got serious attention. 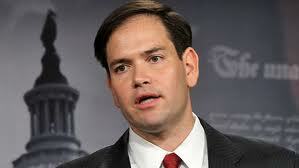 Rubio’s proposal was described in the press as providing an opportunity for DREAMers to seek non-immigrant status. His plan would have created a nonimmigrant visa for DREAMers, which would not generate a new pathway to residence, but would, rather, allow DREAMers temporary status and, if they could find a basis for residence through the traditional means, they would be allowed to adjust status to residence. Of course, this is all hyperbole as none of this ever made it to the legislative drafting process because Rubio could not gather the support of his party. The White House, however, was sufficiently concerned with the Rubio proposal that it asked DREAM advocates not to work with Rubio. When DREAM advocates still seemed open to Rubio’s proposal, the White House moved on DACA. DACA took all the wind out of Rubio’s sails, and, as we have argued before, may have turned the tide for the President in this election. – Must submit to a medical exam and a background check, submit biometric and biographic data, and register with the Selective Service. According to the National Review, to maintain W-1 status, a student must: (1) check in with DHS every six months; (2) avoid welfare or government sponsored financial aid, and (3) maintain studies. The National Review also says that W-1 students would also be able to work while attending school. Upon completion of a degree, the student could seek a W-2 visa, which is a four year work visa. An applicant must have received a degree or served four years in the military, continue to maintain the requirements of status regarding crimes, good moral character, welfare and reporting. A $525 fee would also be required. After completing four years of work, an applicant could then seek a W-3 visa, which would be renewable indefinitely every three years. The program would provide no new means of seeking residence. Residence may be sought through any of the existing means of seeking residence and, presumably, W-3s would be eligible for to apply for residence. So, there you have it. The first details of the Republican ideas regarding undocumented youth. The eligibility requirements are considerably stricter and less generous than DACA and they impose tremendous work upon applicants and the immigration service. In addition, the ACHIEVE Act would require undocumented youth to be in some form of temporary status for ten years before they could apply for a quasi permanent W-3 and/ or residence. This proposal is a poor cousin to the DREAM Act. Nonetheless, it ought to be welcomed as a departure from the “deport them all” and “self-deportation” rhetoric that has passed for policy in the GOP. Republicans seem to have accepted the moral claim of DREAMers and have made a serious first offer as to a legislative solution. It is far from perfect, but it represents miles in the journey that Republicans have traveled since last Tuesday.